K.J. Farnham’s latest novel is a young adult story with a mystery at its heart. 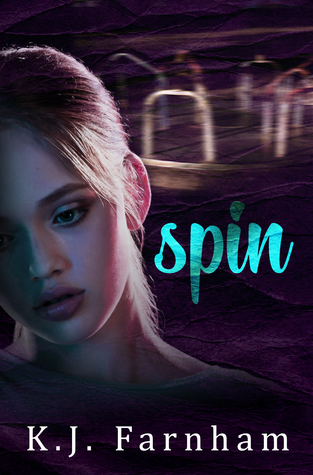 After reading and enjoying all of Farnham’s previous works, including her last YA novel Don’t Call Me Kit Kat, I was really looking forward to getting stuck into my copy of Spin, and I definitely was not disappointed. Spin is a pacey, edgy read which immediately grabbed me; a compulsive page-turner which kept me up way past my bedtime on the several nights it took me to read it. The mystery of Jenna Kemp’s disappearance and whereabouts is pieced together in a narrative which moves between past and present, and between several different characters’ points of view. This jigsaw-building structure is complex but expertly crafted by Farnham, who uses this format to reveal the story gradually, weaving the details of Jenna’s life in the months before her disappearance in amongst the pain and confusion of her family and friends in the aftermath. I particularly like the way Farnham employs contrasting narratives and tenses as the story moves between the past and the present. For the reader, the use of first person and present tense gives a deep and immediate insight into the responses of Jenna’s loved ones, whilst the use of third person and past tense for Jenna’s part of the story keeps her, rather aptly, at arms length. As in her previous YA work, Farnham’s Spin deals with some difficult topics, delving deeply into some complex emotional and mental health issues as Jenna’s story unfolds. Without wishing to give too much away about the plot (and therefore the mystery), I think that Farnham’s handling of this tough subject matter is commendable for its realism and sensitivity. 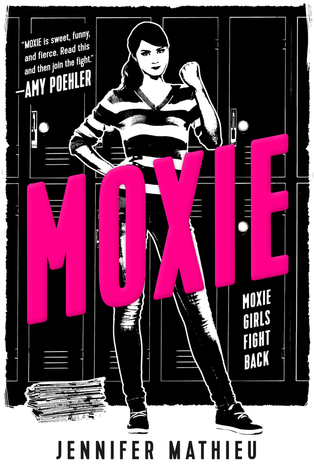 The story pivots around a number of strong, well-drawn characters; all flawed in one way or another and not all likable, but all easily imagined as they play their various parts in steering the reader towards answering the question: where is Jenna Kemp? The answer, when it comes, is unexpected, shocking, and a fitting end to a very tough tale. A gripping, suspense-filled read. Five stars. Spin is available on Amazon UK now. To find out more about K.J. Farnham’s work, check out her website or Goodreads page. Two lives. One night sky. Róisín and François first meet in the snowy white expanse of Antarctica, searching for a comet overhead. While Róisín grew up in a tiny village in Ireland, ablaze with a passion for science and the skies, François was raised by his restless young mother, who dreamt of new worlds but was unable to turn her back on her past. As we loop back through their lives we see their paths cross as they come closer and closer to this moment, brought together by the infinite possibilities of the night sky. I’ll admit that I wasn’t actually looking for something new to read when I came across this book. I was in a shop in town, browsing the books for my kids when my attention was caught by the adults section, and by a cover with two shadowy figures and a comet overhead. I picked it up, read the blurb and thought, ‘hmm, intriguing’. I wasn’t wrong. This is a story which draws the reader in from the very start. Beautifully structured, each chapter loops through time and characters at a pace which is impressive but never confusing. The focus of the story is on Francois and Roisin, and those in their lives, past and present, and how they both arrive at a moment in Antarctica, gazing at the night sky. Written in the third person present tense, each part of the story takes place when there is a comet visible overhead. 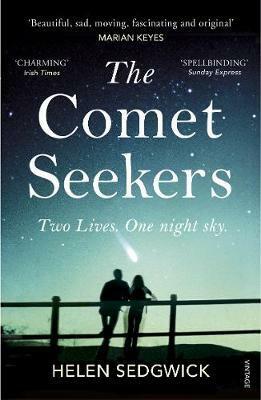 As the reader comes to learn, the comets are the tethering link between all characters, the living and the dead. If the well-structured plot drew me in, then it was the style which had me hooked. Sedgwick has a masterful ability to express a great deal of beauty in just a few words. Her poetic descriptions of comets and of the universe are clearly heartfelt, while the picture she paints of each character is deep and perceptive. All this results in a story which is sincere, engaging, and a considerable emotional rollercoaster for the reader. There are parts of this story which made me smile, and equally parts which made me feel as though I could weep. And I suppose that’s the point. An impulse buy which I’m very glad I made. Five stars. I’m not going to lie, readers; my heart sang just a little bit. Don’t get me wrong, I’m not getting carried away. After all a pitch is just an advert, a hook, and not a full manuscript. Heck, I don’t even have a completed manuscript yet. But nonetheless this was interest from the publishing industry. As an author who has been through the ‘submit, wait, hope, silence’ process a good few times, this represents progress. Above all, it gave me the kick I needed to make me throw everything I’ve got into getting this book finished. I have, of course, sent a query to the publisher – not an easy task for a book which isn’t written yet, by the way! I’ve yet to hear anything, and I might not hear anything, but I suppose it doesn’t really matter. 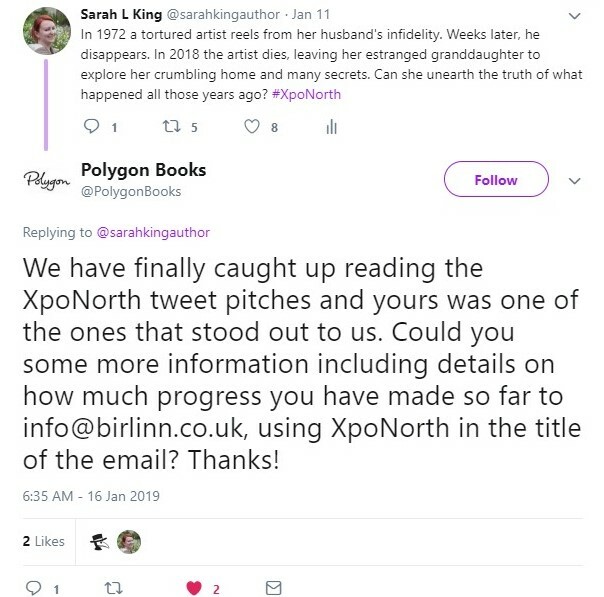 This interest was exactly what I needed to motivate me to get this book written, and if this reply to my tweet ultimately serves no greater purpose than that, I’ll still be happy. Happy new year! After a lovely festive break I have finally persuaded myself back into the writing room to get on with some writing, and some blogging. At the end of last year I promised you a post on my 2019 goals, and as this is the first post of the new year, setting out my targets for the months ahead seems like a good place to start. Goal 1 – Finish writing The House at Kirtlebeck End: I’ve mentioned previously on my blog that progress on my new contemporary novel has been a wee bit slow. However, I ended 2018 with it roughly half-written and have made completing it my top priority for 2019. Goal 2 – Submit The House at Kirtlebeck End to agents/publishers: Well, what have I got to lose? Having been through the querying process before with a couple of my other books, I know that this can take some time. Nonetheless, I believe in this book and its ability to have a broad appeal, and so I owe it to myself and my work to give it the best possible chance of success. And, if it doesn’t get picked up, I can of course publish it myself. Goal 4 – Keep writing and submitting to magazines/journals: I’m keen to build on last year’s successes here, and so will keep writing shorter pieces whenever the mood takes me. Today I’m really pleased to share with you one of my horror/dark lit short stories which has been published by Dark Fire Fiction. Eerie Whispers is a dark tale about a woman possessed by a destructive force, preoccupied by unrequited love and having to hold herself together when faced with a psychic asking pertinent questions. I was inspired to write it after visiting a psychic café for a reading – it made me wonder, what would it be like to look into such perceptive eyes when you have so much to hide? You can read Eerie Whispers on the Dark Fire Fiction website. That readers buy the book. That readers read the book and enjoy it. That readers rate/review the book on Amazon, Goodreads etc. That readers tell a friend, family member, colleague or other acquaintance about the book. I don’t think I’m going out on a limb to say that these four wishes are important to any author writing in any genre, whether they are traditionally published, crowdfunded, or self-publishing. For the indie author, those last two wishes are particularly vital. Most indies, myself included, don’t have vast marketing machines behind them, or enormous budgets with which to procure such resources. Most indies rely on the internet, on social media, on reviews, on shares and ratings and that great old-fashioned thing, word of mouth, to maintain their book’s profile far beyond that initial burst of sales which comes with release day. Why am I talking about this? Well, today I decided that I would write a post which plays my part in this. I am a writer but I am also a reader too, and over the past few years I have read some truly wonderful books by independent authors. Today I thought I would turn the spotlight on to them, tell you a little about their work and where you can find it. It’s all part of spreading the word! 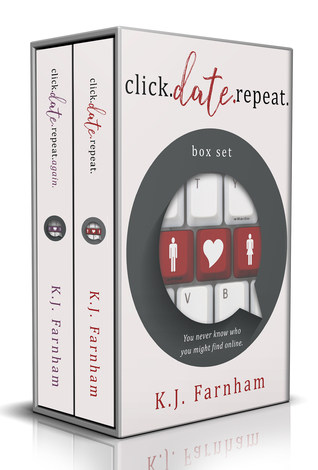 K.J Farnham writes women’s fiction and contemporary romance. Her work includes her Click Date Repeat series and her most recent release, A Case of Serendipity. K.J has also written a YA novel, Don’t Call Me Kit Kat. I’m an avid reader of K.J’s work and have reviewed a number of her books on my blog (see here, here and here). If you like light, funny and enjoyable reads which will make you smile and lift your spirits, K.J’s romance novels are probably for you. Find out more about K.J here. Hillary DeVisser writes women’s fiction and romance. 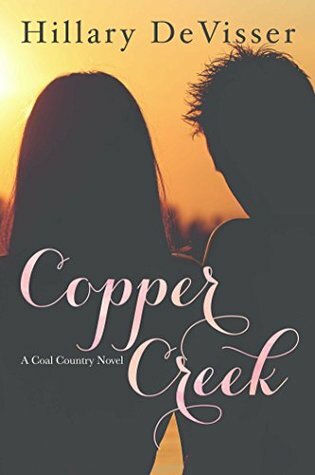 Her Coal Country series, which includes the books Fishing Hole, Copper Creek and Poets Pass, follows the fortunes of family and friends in a small mining town in Southern Illinois, where lives are not simple and there is always a good dose of suspense to be found. I read these books consecutively and just couldn’t put them down. If you like heartfelt, romantic reads which will have you clutching your chest at times, DeVisser’s books are probably for you. Find out more about Hillary here. Fiona MacBain writes in the thriller, suspense and crime genres. 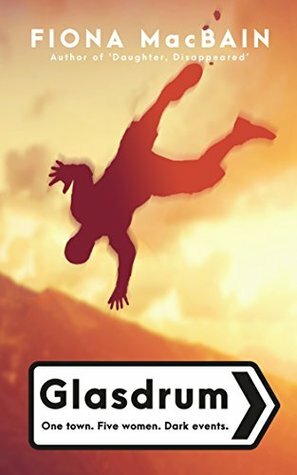 Her books are one of my more recent discoveries, in fact it was only last week that I reviewed her second novel, Glasdrum, a crime thriller set in the Scottish Highlands (you can read my review here). In the past couple of days I finished reading Fiona’s first novel, the pacy women in jeopardy thriller Daughter, Disappeared set in Tunisia (review for this one is still to come). Both novels are gripping, exciting reads with unpredictable plots, and intriguing, challenging and at times downright grisly characters. If you like absorbing thrillers which you can’t put down, Fiona’s books could well be for you. Find out more about Fiona here. 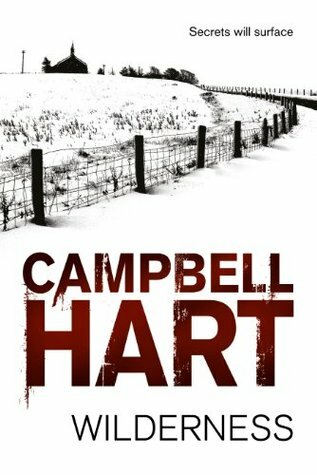 Campbell Hart writes crime fiction and noir, and has more recently released collections of ghost stories. His Arbogast trilogy, comprised of the novels Wilderness, The Nationalist and Referendum are crime novels set in central Scotland all featuring his gritty and completely unforgettable protagonist, DI John Arbogast. Campbell’s Arbogast books were one of my first forays into reading crime fiction and discovering that I did indeed enjoy the genre. The plots were framed within the context of recent memorable events in Scotland, from the freezing winter of 2010 through to the eve of the Scottish Independence Referendum in 2014, making them immediately relevant and relatable. If you like well-constructed and engaging crime fiction, Campbell’s books might well be for you. Find out more about Campbell here. Marissa Campbell writes historical fiction and contemporary romance. 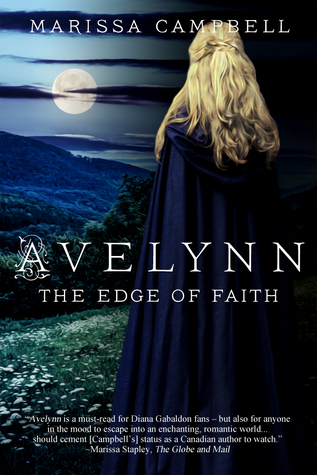 Her first novel Avelynn was published by St Martin’s Griffin and she has since gone on to self-publish a second novel in the series, Avelynn: The Edge of Faith, as well as a contemporary romance novel. The Avelynn books are epic adventures of magic, faith and survival in the dangerous and superstitious world of ninth century England and Wales. This wasn’t a period I was particularly familiar with before picking up these books, but Marissa’s spell-binding prose and memorable characters really brought it to life for me. If you like gripping historical fiction with a touch of the otherworldly, Marissa’s books are probably for you. Find out more about Marissa here. One town. Five women. Dark events. A skeleton is unearthed, too many walkers are falling to their deaths off mountain cliffs, and the local pub doesn’t know how to make a decent raspberry daiquiri. Single mother Megan is a hill runner and cannabis dealer, an unlikely friend of well-to-do Finella, whose confident appearance hides struggles with her unpleasant husband and unruly children. Vicky is Finella’s child-minder, and when Finella’s husband starts digging about in her past, he discovers she has a secret. How far will she go to protect it? Glasdrum is a culture shock to Londoner Sarah, but she finds friendship with local journalist Catriona, recently returned to her home town but haunted by memories from her past. The women battle through daily life while the spectre of death looms over the town. Could one of them be living with a killer? I read a few books on holiday this year, but Glasdrum was by far my favourite. Set in a fictional town in the Scottish highlands, Glasdrum makes for a masterpiece of pathetic fallacy – the backdrop is gloomy and grey, the rain is lashing down and summer is stubbornly refusing to arrive. I found the setting in particular to be very powerful and on more than one occasion found myself shuddering as MacBain’s prose made Scotland’s beautiful west coast seem suddenly so forbidding. Glasdrum is a third person narrative pieced together from the points of view of several women as they grapple with tricky personal lives which are not made any easier by recent unnerving events, the deaths of hikers in the mountains nearby, and the literal skeletons found in the back garden. I found MacBain’s characters to be well-drawn, realistic and easy to relate to. I particularly liked Megan, a rough-round-the-edges single mum, whose unlikely friendship with well-to-do-but-falling-apart Finella injected just the right amount of humour into the story. In addition to the heroines there are, of course, a number of villains in Glasdrum. I don’t want to say too much about them as I wouldn’t like to spoil the story, but suffice to say that for me there were one or two who I really loved to loathe. Whether they’re the murderers…well, you’ll have to read it to find out. Certainly, if you’re anything like me you won’t easily manage to guess ‘whodunnit’ – MacBain’s plot is a fairly complex one which takes the reader through a good number of twists and turns and keeps you wondering until the very end. A gripping read, perfect for enjoying from the comfort of your sun lounger. Five stars. Ethersay is now six months old. 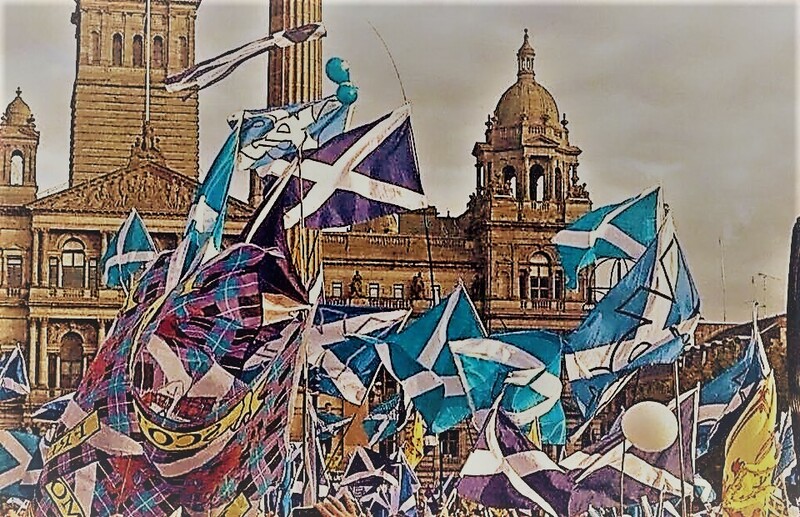 To mark its half year anniversary, today I’d like to share some words I wrote which explain how my own experiences during the Scottish independence campaign eventually moved me to write this novel. For me, the day after the independence referendum was a blur of tiredness and disbelief. Everything was done on autopilot: taking the kids to school, picking them up, heading to the shops for some retail distraction. Everyone else seemed to be the same, too. I remember walking around Livingston shopping centre and noticing how quiet it was – the place itself was busy, but the people there were muted, sombre, reflective. Disappointment hung in the air like rain on a dreich winter’s day: disappointment in ourselves, disappointment in Scotland. Disappointment that the vision we had for our country would not, at that moment in time at least, be realised. And perhaps above all, an aching disappointment at the realisation that dependence had won. Much of that disappointment, of course, would have belonged to those who voted Yes. But I always wonder how many of those who voted No woke up that day and realised that they felt disappointed, too. Prior to the referendum, I had started writing my first historical novel, having set myself the bucket-list style challenge of publishing a book before my thirtieth birthday. In that final, crucial six months of campaigning I had put my project on hold, throwing myself entirely into political activism in a way that I had never done before. Sure, I had campaigned for my party’s candidates in various elections, but this was different, somehow – it felt so vital, so momentous, so all-consuming. For six months, I lived and breathed the independence referendum. I walked miles; I chapped doors, delivered leaflets, worked on street stalls. I did everything I possibly could. If I give this my all, I remember thinking, then perhaps it will be enough. Perhaps we will win. And then we lost. I still struggle to describe what it felt like once it was over, once I knew we hadn’t won. Emptiness, numbness, grief – none of those words seem to quite fit. All I know is that at that point, all I wanted to do was throw myself back into writing, and I did. Thank goodness I had my book to focus on, to distract me, to give me something to think about other than politics during those long, dark autumn days. During 2015 and 2016, I published my first book then wrote and published its sequel – two historical fiction novels, set hundreds of years ago in my native Lancashire. They were a welcome escape, intellectually and emotionally. They were somewhere I could go and not think about how absolutely gutted I still was and for a long time, that was great. Gradually, however, I found my gaze shifting back towards the independence referendum. By this point almost two years had passed and so much had changed at a pace which is still astonishing. Creatively, it felt like the right time to look back, to take those experiences and those feelings and weave them into fiction. Then I had a dream (yes, really) about a woman who finds herself stranded on a remote island with no memory of how she got there. I remember waking up and immediately jotting down the idea, spinning its threads, developing it through questions: who is she? How did she get there? What is it that she can’t remember? What if she was a Yes campaigner? What if the referendum had irrevocably changed her life? 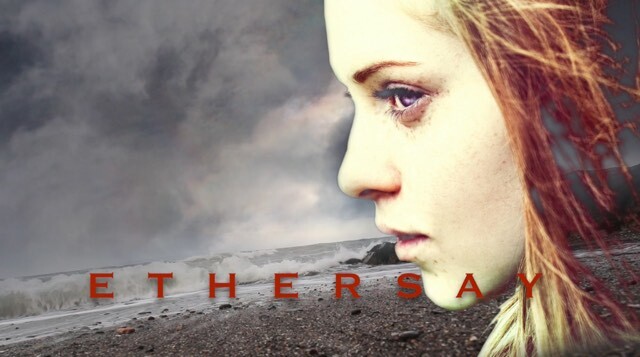 An idea was born; an idea which over the subsequent weeks and months became my third novel, Ethersay. Of course, it is important to say that the woman in the book isn’t me, that she is a work of fiction, as is every other character in the book. But as the saying goes, you should write what you know. I also feel, to paraphrase another saying, that if you’re ever going to have a clear idea of where you’re going, then you must understand where you’ve been. Stories can help us to do that; they can resemble real life but be remote enough from it to provide a safe space in which to explore the emotional and psychological impacts of our experiences. Stories can help us to reflect, to digest, and to engage. Perhaps above all, stories can help us to come to a better understanding of ourselves. And in my view, if Scotland is going to move forward as a nation, if we’re going to realise our massive potential as we navigate the murky, brexiting waters of present times, we need to do exactly that. I hope Ethersay contributes to that but if not, well, it was damn cathartic writing it.